Tri-Luma cream offers three powerful ingredients to reach one effective solution. 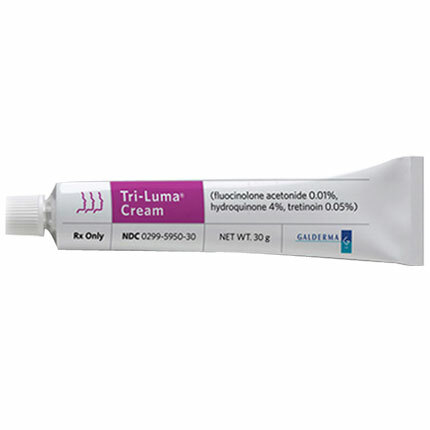 Tri-Luma is made up of a topical anti-inflammatory (Fluocinolone acetonide 0.01%) to help heal skin faster, a melanin blocker (Hydroquinone 4%) to even and lighten skin tone, and a vitamin-A derivative (Tretinoin 0.05%) that helps clear and protect the skin. This all-in-one cream is perfect for those who suffer from Melasma, skin disorder that results in symmetrical, blotchy, brownish facial pigmentation.